So green and enticing. Join us, as you play the video, on this breathtaking journey over Heron Park, where families grow and prosper. This is where you find your family’s oasis. Where you walk your kids to school, where many already enjoy the strong community of good neighbours. Here, you will be surrounded by a plethora of parks with lush carpets of grass and creative kids’ spaces. Let's take a bird's eye view on what your life can be in Heron Park, Harrisdale (click the image below). Imagine starting your day with a jog in your local park or a bicycle ride throughout the neighbourhood. How about exploring the nature reserve next door on the weekend or playing cricket with the kids? 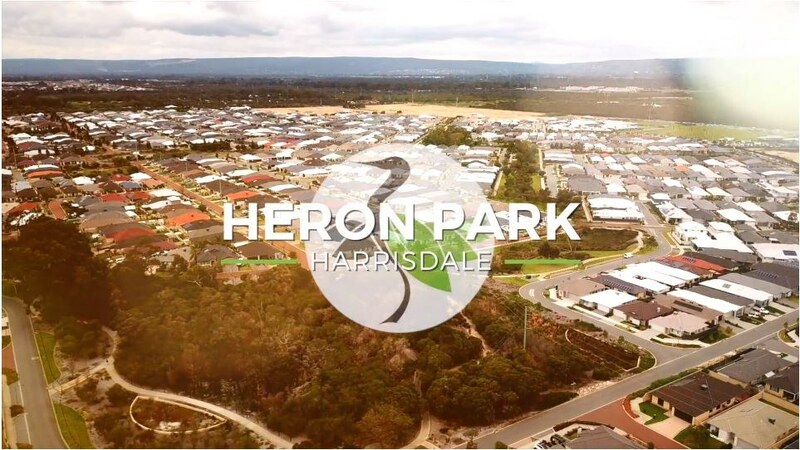 The incredible sports ground and the state-of-the-art public primary and high schools within the Heron Park are what’s known as the exceptional education precinct in Harrisdale. What makes Heron Park special, is its people – the community that comes together to enjoy regular free events for the whole family. And, if you’re keen to host a party of your own, Bakers House and Harrisdale Pavilion are there for the taking (of course, you need to check terms and conditions for that with the City of Armadale). You've done well! We are now connected. This means you will stay up-to-date with the latest tips and tricks in buying and building, Heron Park's free community events and major development updates. We take your privacy seriously and won't spam. Heron Park is the obvious choice when it comes to buying smart property. Even the kids agree. Isn't buying land and building your own home expensive? It doesn’t have to be! Two Satterley experts explain how a house and land package can fit your budget. Heron Park in Perth’s south-eastern corridor falls within the catchment area for Harrisdale Primary School, one of the state’s newest and most exciting primary schools.